Appliance repair always comes at the most surprising times and there’s really nothing we can do to prevent our kitchen appliances from breaking down. The only thing we can really do is try to look for the most qualified local appliance companies near you and hope for an affordable estimate. With Appliance Estimate we help you get a peace of mind because we list only the most qualified Appliance Repair Technicians in your city. Not only do we manually screen each company we also make sure they are giving you honest and affordable estimate for your kitchen appliance repairs. If you ever have a problem with any of the companies listed here on our website we will help resolve the issue directly with the Appliance company so you don’t have too. If you feel at anytime that your Appliance Technician did not live up to your expectations feel free to give us a car or send us an email so we can rectify the situation. In order to keep our customers happy who come to our site to hire for appliance repair we require that all companies listed on our website offer all customers warranty on their repairs. This means if your appliance has the same issue after having it fixed the Appliance Technician will be required to visit your home until the problem is resolved. We are strict on these matters and try to keep it fair for both the customer and Technician. To avoid any more problems with your home appliances we also requires all the appliance companies listed on our website to use original oem appliance parts on all appliance repairs. This is to avoid them having to come back and fix a problem caused by a faulty part. 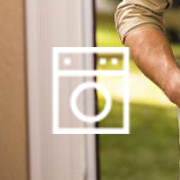 Once the repair man leaves your home he will leave your appliance in working order with all the parts safely installed. 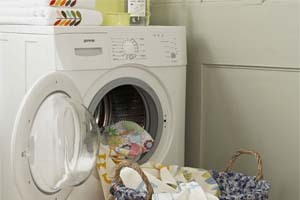 All the appliance repair service businesses you find on our website can fix all appliances including, washers, dryers, ovens, dishwashers, microwaves and many more type of machines. Although domestic appliance repair is our specialty we also list companies that can diagnose and repair commercial appliances. Our Technicians also use the most state of the art appliance repair tools to perform the job right the first time. We verify that they can all use electronic multimeters, clamp meters, voltage detectors and all refrigeration tools.